Summary: Some community banks have found a way to appeal to business customers beyond the usual offerings - using mentoring/advisory services. We provide a few examples. 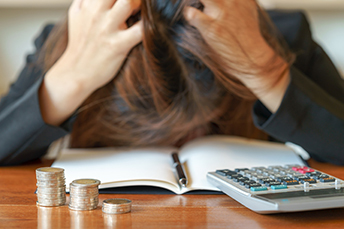 A survey from Bankrate asked people to list their biggest financial mistakes. The findings were interesting, with the top position of "not saving enough for retirement early enough" at 22%, closely followed by "none" at 20%. Rounding out the rest of the top 5 is: not saving enough for emergency expenses (16%), taking on too much credit card debt (9%), and taking on too much student loan debt (9%). Everyone makes mistakes, which is why bankers seeking to perhaps learn from errors of the past should find our discussion on mentoring/advising small business owners pertinent. All bankers want to keep earning the appreciation and more business from businesses customers. Some community banks found a way to do this beyond the usual offerings. They have turned their focus more towards providing mentoring/advisory services to help these customers better succeed. For example, a CA community bank was behind the push to open an SBA Small Business Development Center program in its market area. The CEO led the effort and the structure is interesting yet simple. The bank pays for a counselor to help small businesses either just starting out or trying to expand. The counselor works with business owners on business plans, ways to access more capital, etc. As one of the two founding sponsors, the bank's name and logo are displayed prominently on the center's website and on materials distributed to small businesses. In this way, appreciative customers and potential customers know they can obtain SBA loans and other products and services with the bank to help their companies grow. Yet another community bank based in OH offers an in-house advisor at its branches to help small businesses. The advisor provides guidance on how to manage expenses and cash flow, among other things. He also advises on how to best structure lines of credit to maintain the appropriate amount of working capital needed from month to month to help businesses expand. While the bank's advisor makes clear he does not provide legal or tax advice, small business owners think of him as "a trusted advisor," much as they regard their attorney and accountant. Still another bank in CA publishes an online business magazine on a website separate from its main banking website. Some of the articles outside of banking advice include, "Why Entrepreneurs Need to Seek Mentors in Their Industry" and "Yes or No: Getting Clear Answers from Potential Investors." This bank offers international trade finance products and services, and provides tips within the magazine on how small businesses can connect with overseas partners and succeed in their trade activities. Finally, consider a bank in VA that reaches its business customers through a blog within its main banking website. This blog offers advice to small businesses, as well as a directory of resources for small businesses. The bank's online directory also provides links to capital opportunities and links to the area's co-working spaces, for entrepreneurs on a tight budget. Above all, this bank stresses that its own business bankers are ready and willing to help small businesses, and they make sure to tie it all together so they can deepen relationships with their customers. We highlight the work community bankers are doing to fight hunger and restore communities after devastating fires. We applaud these banks along with all community bankers who continue to go the extra mile day after day. Small businesses are increasingly selling local, but thinking global. Community banks can increase and build deeper relationships by helping these business customers go international. A survey by John Burns Real Estate Consulting finds with a mortgage rate increase of only 1%, 24% of homeowners would not move and 36% "may not" move. CNBC/SurveyMonkey found the highest number of small business owners say they are optimistic about business and a near record 53% said business conditions are good. This number has steadily increased since Q2 2017, when it was at 38%. S&P Global Market Intelligence research finds reasons why mobile banking users actually switched banks are: Lower fees (35%); better customer service (34%); change in living situation (28%); better mobile app experience (28%); better branch network (24%); incentive offer (21%); better hours (19%); higher interest rates on deposits (13%). A record level of US currency is in circulation, but up to almost 67% of it - $1.07T - is believed to be overseas and is difficult to track. Over the past 20Ys, the value of circulating currency has gone up an average of 6% per year, with the value of $100 dollar bills nearly tripling. In an effort to expand our relationships, PCBB is pleased to offer community banks a money market deposit account rate of 2.05%, subject to availability. Contact operations@pcbb.com.